How to replace neat template to others? It is nice that FlipBook Maker is built in multiple templates. After importing PDF, I want to replace Neat template to Float. Because Float template present flipbook with outer and inner background. I like it very much. But I do not find the switch tool. Give me some ideas! 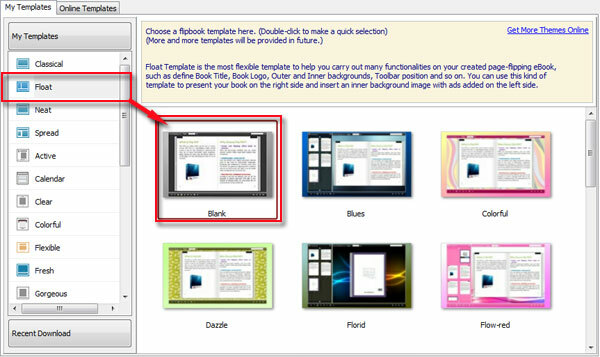 Change template in A-PDF FlipBook Maker is quite easy. Follow below steps you will know how to replace neat template to others in minutes. 5. Click " " to preview the effect. 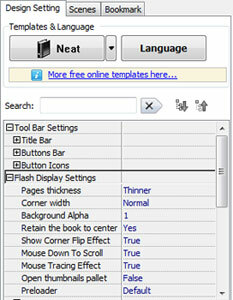 A-PDF Page Size Split - batch split Acrobat PDF files into smaller PDF files based on page size.